The 2019 campaign will run from 18 March 2019 to 26 April 2019. Since Jacinta Howell was young, she knew she wanted to counsel people. “That’s my personality. People came to me for help,” Jacinta recalls, even back in middle school. A personality test in high school confirmed her calling. She knew college was in her future. Jacinta grew up in a military family, her father retired from the Air Force as a Technical Sergeant. Even her mom worked at the Department of Defense in a civilian role. Jacinta loved the opportunities to meet new people, see new places and experience different cultures – hallmarks of growing up a military kid. But with two siblings, Jacinta was going to need financial assistance to make her educational dreams happen. When it was time to look at colleges, Jacinta’s mom researched scholarships and they learned about the education support opportunities through the Air Force Aid Society. The General Hap Arnold Education Grant from AFAS allowed Jacinta to attend Valdosta State in Georgia. She graduated with a Bachelor’s in Psychology with AFAS support. She then continued her studies, eventually receiving a Master’s in Clinical Counseling. Jacinta is putting her degrees to good use – again tied to the military. She has been working with the U.S. Air Force in a civilian role for three years, as a victim advocate in a sexual assault program. Prior to that, Jacinta worked in the Family Advocacy Program at Moody AFB. She heard her calling early, and now she’s living her dream. 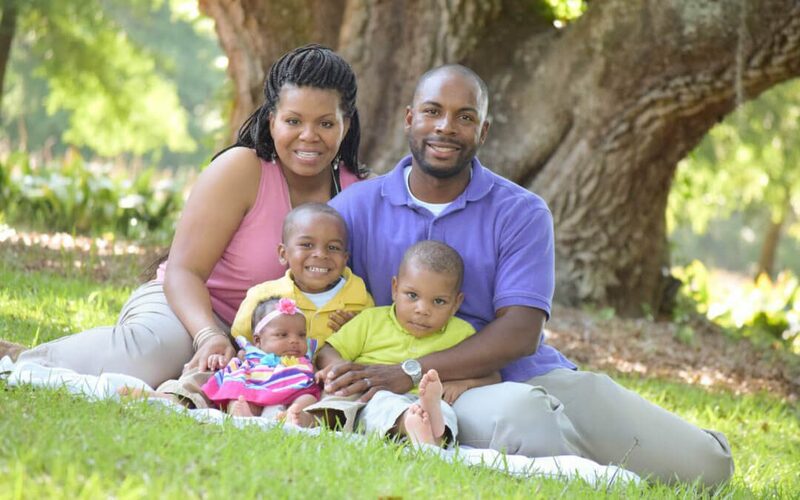 “The military is close to my heart, so my plan was always to come back to them.” In fact, Jacinta, her husband who serves in the National Guard, and their three children live at Moody AFB in Valdosta. Her life has come full circle, back to the town where she started her career studies and back to the Air Force that helped her reach those goals. What does Jacinta think all Airmen and their families should know about AFAS? Look at what they have to offer, “especially for education because it’s so critical. Do whatever’s necessary. They’re here to help,” Jacinta implores. The Air Force Aid Society is the official charity of the U.S. Air Force and has been meeting the unique needs of Airmen and their families since 1942. AFAS works to support and enhance the USAF mission by providing emergency financial assistance, educational support and community programs. Last year alone, AFAS provided nearly $15 million in direct support. © 2019 AIR FORCE ASSISTANCE FUND. All Rights Reserved.